A powerful post-rock band has lost an integral member. Chris Friedrich, bassist for Caspian, died unexpectedly on Sunday (August 25), the Beverly, Massachusetts-based band announced on Facebook. Friedrich’s age and the cause of his death weren’t immediately clear. Caspian will honor Friedrich during a show this Saturday, August 31, at Manchester, N.H.’s Engine Room. The show, which the band noted Friedrich was vital to organizing, benefits a friend of the late bassist who is raising money for a lung transplant. More details are on the events section of Caspian’s Facebook page. 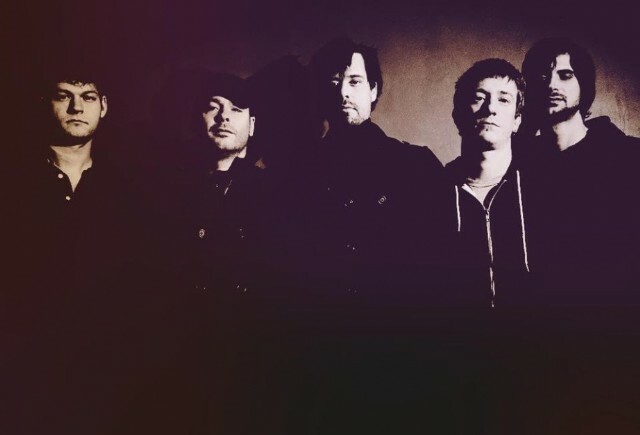 The instrumental group released their third album Waking Season last year, and SPIN called it the Best Post-Rock Album of 2012. Caspian is currently scheduled to tour Europe starting in October. The statement doesn’t mention whether those shows will still take place. Watch their video for Waking Season’s vast “Procellous” here. Read Caspian’s full statement below. We write to you today with heavy hearts and indescribable sadness to tell you that our bass player, Chris Friedrich, died unexpectedly Sunday afternoon. We have lost a close friend, a true brother, and a presence that can never be replaced in any of our lives. Chris epitomized the heart and soul of Caspian, and in our own ways — both individually and collectively — dedicate ourselves to honoring his memory. We ask for privacy. Thank you for your thoughts and prayers during this difficult time. We will be paying tribute this Saturday (8/31) to Chris by performing at The Engine Room in Manchester, NH. This is a benefit show for a friend of Chris’s who is seeking funding for a lung transplant. Chris was instrumental in putting this show together, and is the only way we know how to honor his memory at this time. You can find more information in our events section for this performance.